Rocklin Ace Towing Tire Change Service is always available, 24/7. 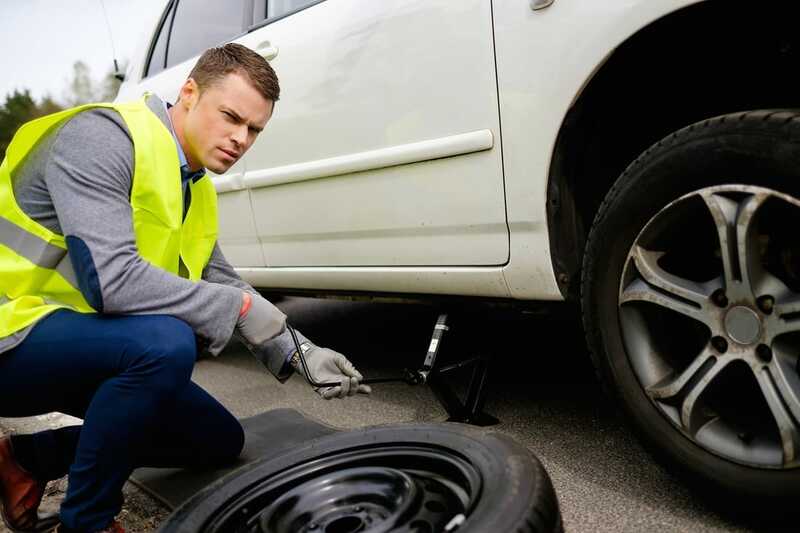 When you change as many tires as we do, you learn that getting to the scene quickly and getting the customer back on the road is what it's all about when a driver has a flat tire. Rocklin Ace Towing will get to you quickly and all our drivers change tires so fast you would think they work on a pit crew. All of our tow truck carry the tools and equipment needed to get your tire changed safely, so you can get on with your business. We don't mean to lecture, but if your spare is one of those little thinkgs that look like a donut, please go directly to the nearest tire shop and heve your flat tire repaired. Those little donut tires were not designed to go 75 mph on Interstate 5.